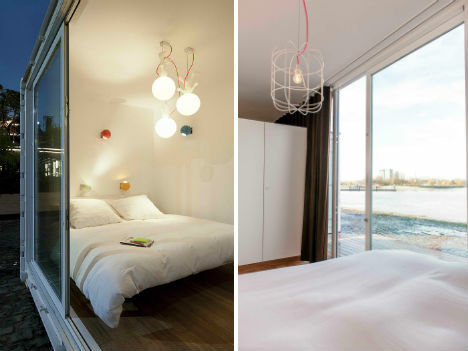 Do you want to spend a night on a river bank, a cliff, a meadow or a busy urban street? 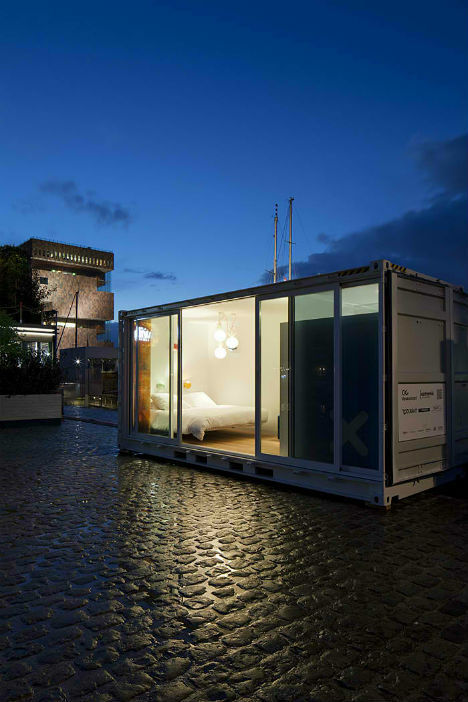 The ‘Sleeping Around’ pop-up hotel concept can go virtually anywhere you like, setting up quickly in locations where static architecture isn’t possible or practical. 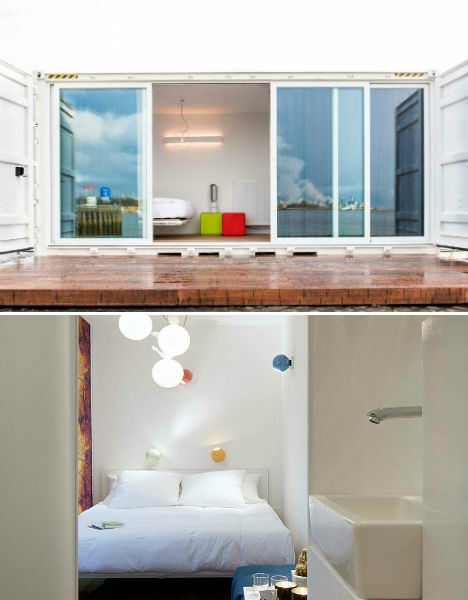 Made from four recycled 1950s shipping containers, this traveling hotel opens up possibilities for travelers who want more than just a night of comfort. 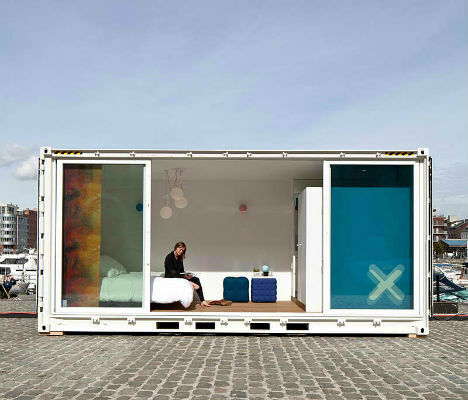 Sleeping Around consists of six shipping containers – four are individual hotel rooms, one serves as a sauna and the sixth is a breakfast and lounge area. Each of the hotel rooms has a floating bed, spacious rain shower, iPod docking station and air conditioning system. The hotel has already spent a few weeks on the banks of the Scheldt in Antwerp, where the containers were procured, and is now on the move. Travelers interested in staying there can track its location on the website, and put in requests for future spots. It can be set up and ready to go within five hours of arriving. This hotel may not be quite as mobile as the super-compact Hotello, which is basically a self-contained hotel room setup in a wheeled trunk, but it opens intriguing possibilities for the future of travel accommodations. If you could choose any location to set up a temporary hotel, where would it be?